A free-floating aquatic fern, this has become a serious pest in the inland waters of many tropical countries. Originally a native of S America, it is now widespread and infestation is reported in Sri Lanka, Zambia, Zimbabwe, Zaire, Botswana, India, Austalia, Kenya, Indonesia and Thailand. Uses: Shown to be an effective antibacterial for bovine mastitis. Also shows promise as a fiber plant for paper making and as a forage plant for animals. Has been shown to be an effective tool in phytoremediation and waste water decontamination. 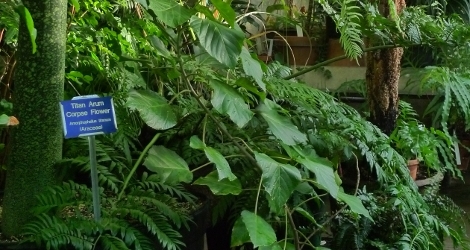 Federally Listed Noxious Weed - Plants are not to leave Greenhouse! The Plant List (2013). Version 1.1. Last accessed on Tuesday, May 09, 2017. Ferns Afloat at In Defense of Plants. Last accessed on Thursday, February 01, 2018.